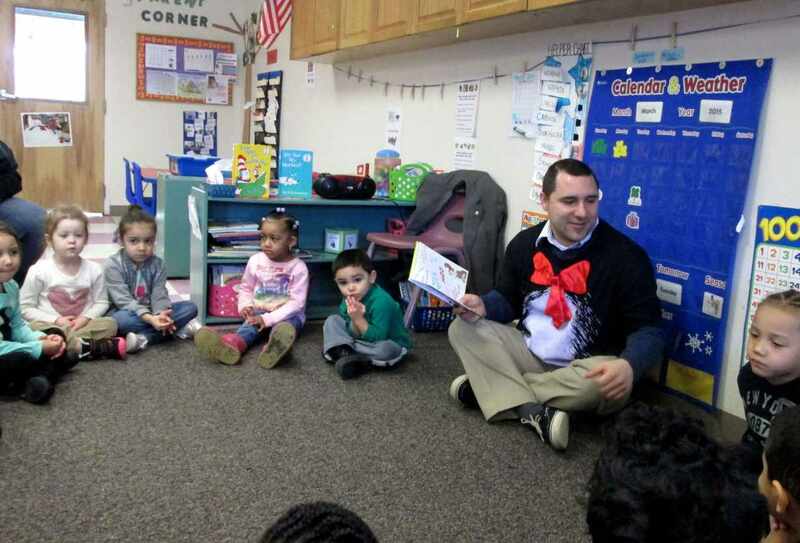 Dr. Day Care celebrates Read Across America with guest readers. PAWTUCKET, R.I. - March 30, 2015 - PRLog -- This year marks the eighteenth annual celebration of reading and Dr. Seuss's 111th birthday! Dr. Day Care Learning Center students join schools across the United States in Read Across America to celebrate reading and building a nation of readers. Students and teachers at Dr. Day Care celebrate through the entire month of March by highlighting Dr. Seuss as the Author of the Month. Parents and community members are invited to read to classrooms to highlight the importance of reading at a young age. Our community is dedicated to working together to create confident, caring, and connected citizens who are informed and aware. That’s why we’re celebrating Read Across America 2015 – to encourage reading and foster appreciation and respect for the power of reading. Reading opens the door to the future for all of us! Read Across America is an annual reading motivation and awareness program that calls for every child in every community to celebrate reading in honor of the birthday of beloved children’s author Dr. Seuss. The purpose of Read Across America is to motivate children to read. Research has shown that children who are motivated and spend more time reading do better in school. Read across America is spearheaded and sponsored by the National Education Association (NEA) at the National Level with support from more than 50 national nonprofit and association partners. Locally, everyone-from schools to libraries to community centers to churches to hospitals to bookstores-is invited to host local events to celebrate and promote children’s reading. · Since this NEA supported endeavor is designed to put every child in the company of a book, take the opportunity to read and enjoy! Read to a child in your life. · Help set a good example. Contact a local preschool and volunteer with your child to share a story with younger children. · Bring children to a public library. From story hours for toddlers to career planning for teens, the library has something for everyone. · Make sure those who are in need have plenty to read. Donate books to hospitals and homeless shelters. Call ahead to see what is needed. Dr. Day Care Learning Center was founded by Dr. Mary Ann Shallcross Smith (known as “Dr. Day Care” to most). Their mission is to provide family, youth and child services in a safe, structured, and nurturing environment through a team of dedicated professionals. For more information about Dr. Day Care, visit www.drdaycare.com . For more information about Read Across America, visit www.readacrossamerica.org .